Cyberlink gives you the power to immerse yourself in the world of digital media. Whether you’re a creator, business, or consumer, there’s a Cyberlink software package that contains the essential media tools you need. Choose between the most powerful media management devices from Cyberlink’s media suites. 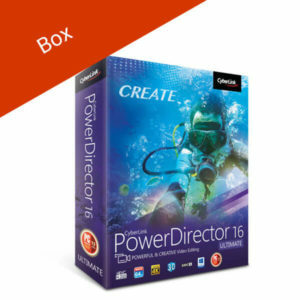 With Cyberlink PowerDirector 16 and PowerDVD, create amazing videos and have the most powerful media player to enjoy them. Buy the best Cyberlink Australia software through our online store. With Softvire, have access to the best Cyberlink prices and discounts for your choice of download and retail box versions of PowerDVD, PowerDirector, and other Cyberlink products. 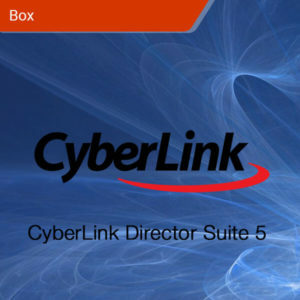 CyberLink Director Suite 5 is the complete media creation package. 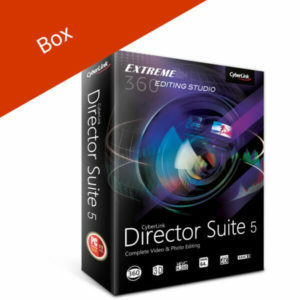 Edit and create videos, photos, and audio material with the wealth of options that the Director Suite provides. When used in combination, Director Suite 5’s software provides a smooth and highly efficient post-production environment for amateurs and professionals alike. Have access to the best audio, video, and photo creating tools. Get consistent updates that matches innovation in the industry. Make use of unique plug-ins and effects to create professional work. This physical product may include packaging. 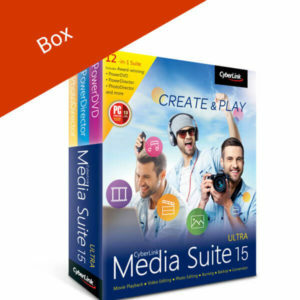 CyberLink Media Suite 15 Ultra is the comprehensive multimedia suite that takes all of Cyberlink’s powerful products and makes it available to media junkies – both amateur and professional. Have the tools to create amazing media to share to your friends, family, and clients. Also, get access to the best media player in the world with PowerDVD. Record your Screen for future upload and sharing with powerful tools. Organize all your movies and TV Shows with Media Library. Get the most out of your movie experiences with TrueTheater functionality. Burn media onto DVD and Blu-Ray discs reliably and with lightning fast speed. Take the way you watch videos to the next level with CyberLink PowerDVD 17 Ultra. With support for new technologies like 4K Blu-ray and 360-degree VR, PowerDVD is the ultimate home theater software you need to experience high definition video quality you’ll never find anywhere else. Multiple high-definition formats to view your videos. 4K support for Smart TV systems. This purchase is for a physical product and may include packaging. This product supports only Windows devices.